Art to wear! 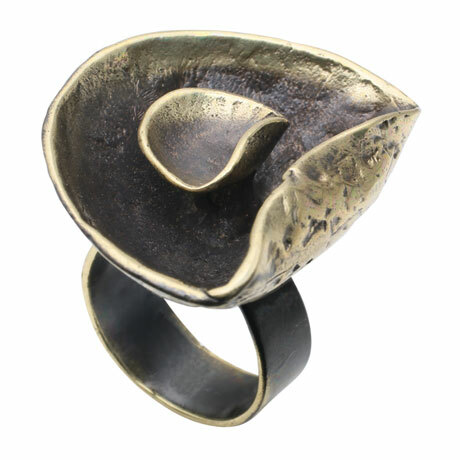 Individually hand sculpted out of bronze, our Ring features a large organic shaped lily pad with a small lily pad in its center. Oxidized and hand buffed for a deep rich finish. Nickel and lead free. 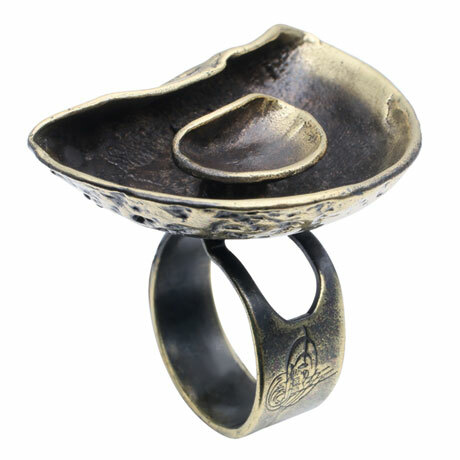 Adjusts to fit ring sizes 6-9. Made in Turkey.